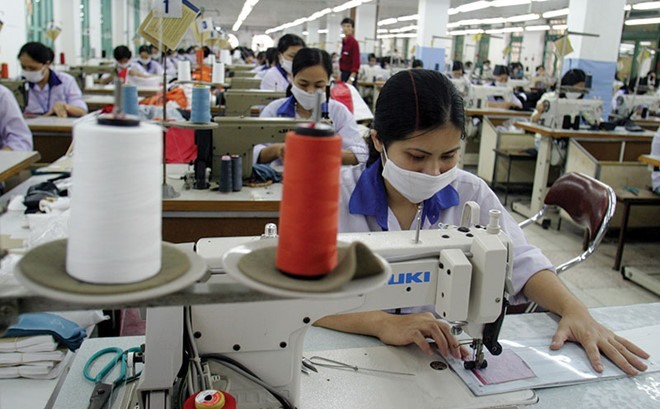 Although Vietnamese apparel company movement toward the stock market is an inevitable trend in a market economy, only 30 businesses of the sector’s total of 6,000 have listed so far. Analysts say that most domestic garment and textile companies are concerned about the possibility that if they list, foreign investors could corner large chunks of their shares or even attempt hostile takeovers. Many companies also fear their shares would not get fair value if listed now, because the sector faces many challenges. Last year was a hard one for the sector, with results much worse expected, including just US$28.3 billion worth of exports, a year-on-year increase of 5.6 per cent. In addition, the year’s target had been adjusted down from $31 billion to $29 billion, after major importers, including the US, the EU and Japan, reduced demand for garment and textile products. 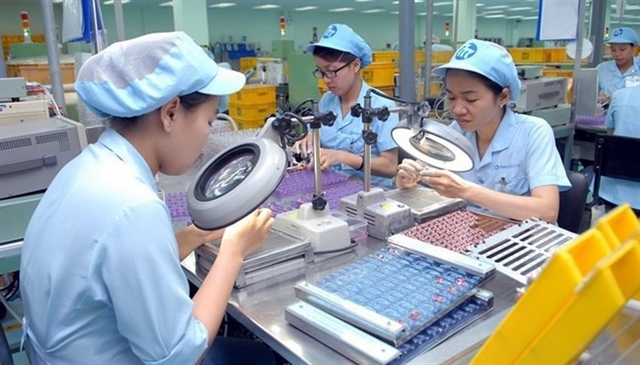 Listed companies did not escape the downturn: Sợi Thế Kỷ Joint Stock Company saw after-tax profits plummet by 60 per cent to less than VNĐ29 billion ($1.28 million), Thành Công Textile Garment Investment Trading Joint Stock Company’s after-tax profit was down 25 per cent to VNĐ114 billion ($5.06 million). 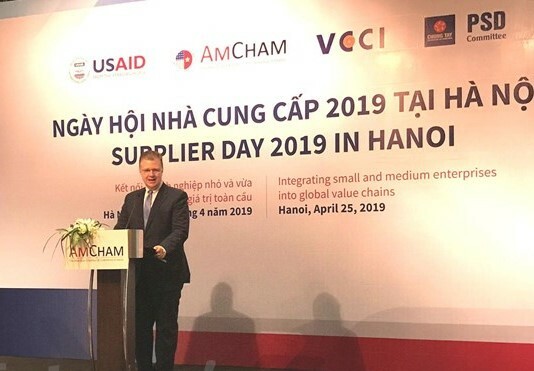 This year, the sector is expected to face many challenges as well, including a lack of support from tax policies, since several important trade deals such as the EU-Việt Nam Free Trade Agreement and the Trans-Pacific Partnership will not come into effect. Lastly, competition will only become fiercer, as other countries march ahead thanks to their conducive tax policies and exchange rates. The instability in the EU economy is also expected to have an impact. 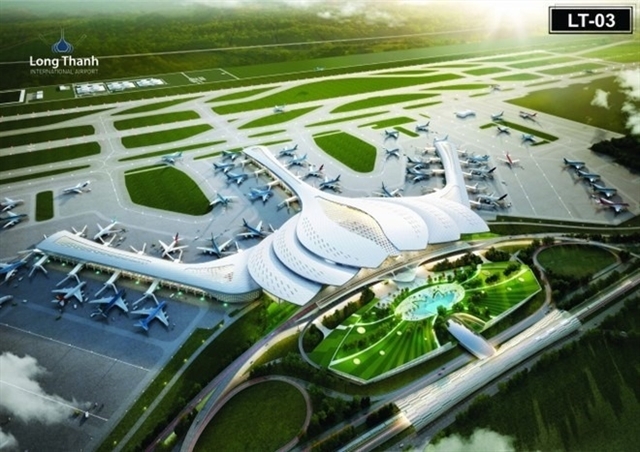 Early last month the Civil Aviation Administration of Việt Nam (CAAV) submitted plans to expand HCM City’s Tân Sơn Nhất Airport to the Ministry of Transport for approval. 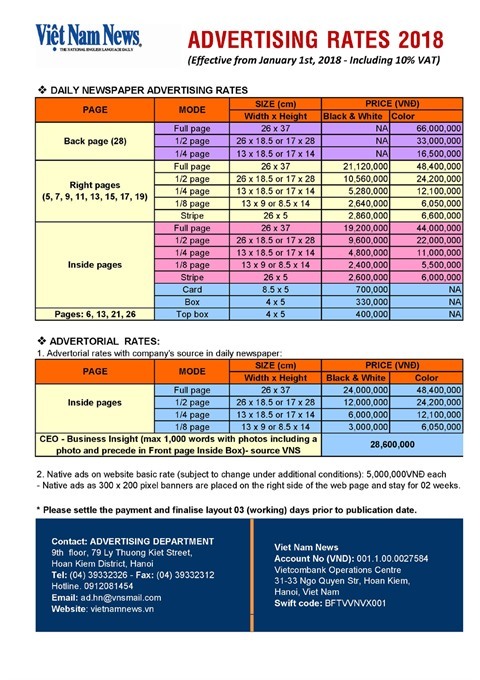 The work is estimated to cost around VNĐ19.35 trillion ($860 million) and is part of the Government’s goals for 2020. 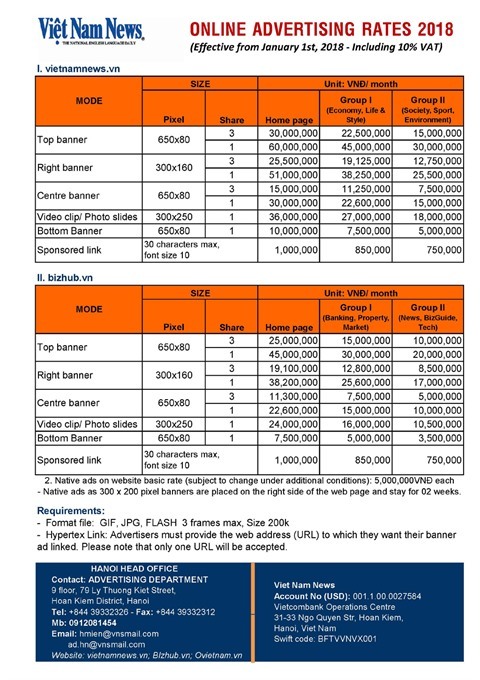 According to the proposal, the airfield’s current runways will remain unchanged, though a new way will be added. Two quick exit taxiways will be built between the runways, while extra taxiways will be added to facilitate aircraft movement. The existing apron will be expanded to an area of 19.97 hectares on land belonging to the defence ministry. Another apron will be built in front of a planned bimodal terminal that will expand Tân Sơn Nhất’s parking capacity from 83 aircraft to 89 aircraft. The expansion plan has attracted lots of interest from airport developers. Liên Thái Bình Dương Import –Export Company (IPP) became the latest investor to join the race to build terminals 3 and 4. IPP has been a partner of the CAAV for several years and is also a major shareholder in the Southern Aviation Service Company (SASCO). The company promises to complete the construction within 18 months if it gets the contract. Earlier, a joint venture company ATAD Steel Structure Corporation and Nam Việt Á Development and Construction Investment Company also submitted a bid to the Ministry of Transport. However, Vietjet Aviation Joint Stock Company had been the first to evince interest. The country’s largest low-cost carrier made a bid to build terminal 4 with a capacity of 10 million passengers a year on a 21 hectare site. It also wants to set up a VNĐ3.048 trillion aviation technical services complex on a 30ha site at the airport. This will include a cargo terminal with capacity of 300,000 tonnes a year, a facility to repair and maintain aircraft and another to provide catering services to airlines. The Government’s policy of calling for private participation in major infrastructure projects seems to be paying off. It also indicates the strong growth in the financial and technical capabilities of domestic players, which allows them to bid for large and important infrastructure works. The plan to expand Tân Sơn Nhất International Airport’s capacity to 45 million passengers a year is likely to be realised soon, experts said. On March 9 Prime Minister Nguyễn Xuân Phúc issued a Decision on four categories of appliances and vehicles that must comply with energy efficiency norms. A roadmap for implementation of the new regulations is also in the new policy. Cars and many kinds of equipment must carry energy efficiency labels and meet minimum energy efficiency norms from April 25. The vehicles for which fuel efficiency labels are mandatory are cars with seven seats or less. But for cars of between seven and nine seats, the labelling will become compulsory from January next year. For motorbikes, compulsory labelling will begin in 2020. The other categories are household appliances like fluorescent lamps, ballasts, air conditioners, refrigerators, washing machines, electric cookers, electric fans, TVs, LED lights and water heaters, and office and commercial equipment like photocopiers, computer monitors, printers, freezers, and laptops. Industrial equipment like transformers and electric motors will also come under the purview of the new regulation. The Government will also encourage voluntary fuel and energy efficiency labeling for vehicles and appliances other than these. In April 2012, the Ministry of Industry and Trade (MoIT) issued a Circular on efficiency labelling for electrical appliances and equipment based on the Law on Energy Efficiency and Conservation that took effect in 2010. Manufacturers and importers of the appliances and equipment listed in the Prime Minister’s decision, officially known as No 04/2017/QĐ-TTg, and those voluntarily affixing energy-efficiency labels must follow the approved procedures for registration, evaluation and certification. Energy labelling aims to enable consumers to identify energy-efficient products, discard low-efficiency appliances, reduce energy consumption and protect the environment. The most popular products to be certified and stamped include air conditioners, refrigerators, television sets, washing machines, electric fans, rice cookers, and lighting equipment. However, the new regulation reveals many practical difficulties. A large number of export-import businesses complain its implementation is cumbersome, costly, time-consuming and even impracticable. Now they will have to test the same product more than once to get the certification since it is only valid for 6 months. But there are too few energy testing laboratories in the country. 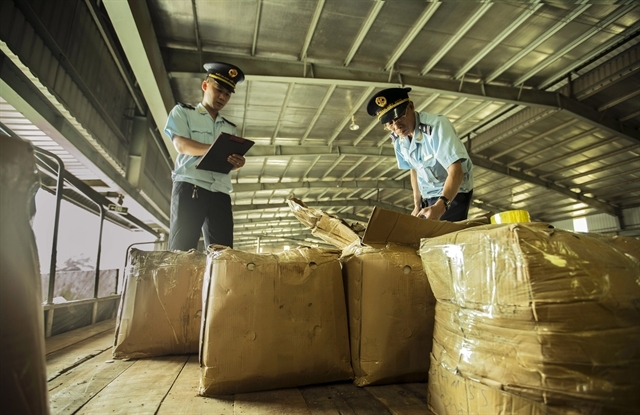 Many experts warn life will become harder for enterprises, causing damage costing hundreds of billions of đồng due to a “discrepancy” among the rules on testing for customs clearance. They say it adds yet another difficult administrative procedure and thus adversely affects the competitiveness of businesses. Taking cognisance of the criticism, the MoIT has recently issued Circular No 36/2016/TT-BCT to replace Circular 07/2012/TT-BCT on energy labeling for vehicles and equipment. The new circular aims to remove regulations and terms which caused difficulties to businesses. Accordingly, businesses will take responsibilities for their announcements and energy self-labeling products’ quality. The circular also allows pilot testing for energy self-labeling by independent testing organisations and laboratories of both domestic and foreign producers; not limited to testing on energy labeling in independent testing organisations. Companies are allowed to use the results of energy efficiency tests done once for each model, whether produced domestically or imported if they are the same model, with their validity being unlimited.